Eric Alegria of Napa Valley here in sunny California is a personal friend of mine with a unique and growing business. 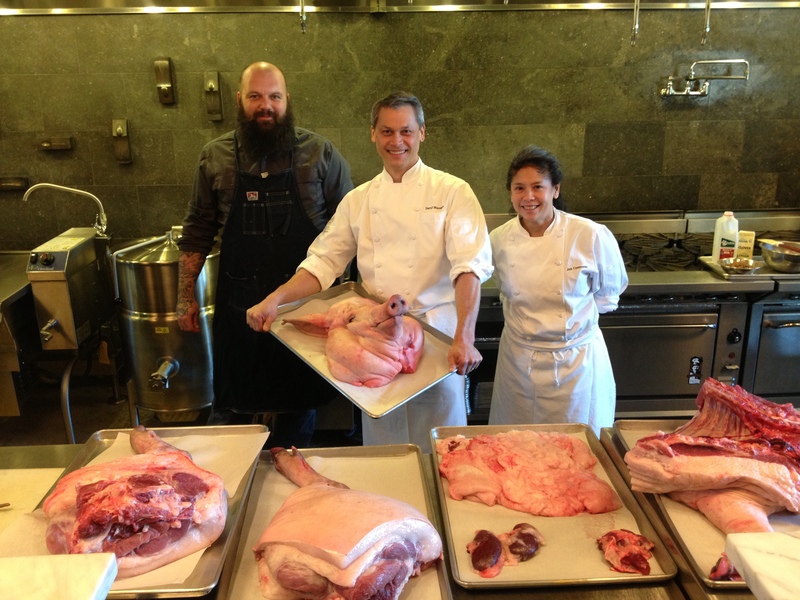 He raises organic rabbits and pigs for some of the best restaurants in the country. He is also heavily tattooed by some of the best tattooers in the world! I sat down with him the other day and picked his brain a bit about his life and of course about his tattoos. So read on! M: Tell me your background: where you work now, how did you get into the food industry, etc…? E: I have been into farming hunting and gathering since I was 3. I remember picking black berries with my Ukrainian grandmother. We also had goats rabbits, and other animals. At my grandfathers we had a half n acre garden. I was canning vegetables and meats with my family at a very young age. Smoking fish was my favorite thing to do. At five years of age I could fillet a fish like no other. We cooked a lot of traditional dishes from the Ukraine. We made borsch a staple in our diet in the fall and winter. At family gatherings there were dishes such as palmeni (meat dumplings), pirozhkis, and many others that were passed down from generations. I owe a lot to my grandparents for teaching me these things. A favorite of mine was going with my grandmother to eat liver n onions. Such a treat for a 5 year old child. There were restaurants that actually still served this dish. I used to get cow tongue sandwiches as well. This opened up many doors for me to see and begin learning the tradition and history of food. Then I began to look at the different cultures and understand how to use all the parts of an animal. Throughout my travels I yearned to get back to my roots. I attempted a few times to start a farm and work for farms and gardening stores. Now I have found myself here in the Napa Valley raising heritage breed rabbits and squab for some of the greats. Like the French Laundry to Meadowood,, and even working some events at wineries and estates. I am a broker for other farms as well. 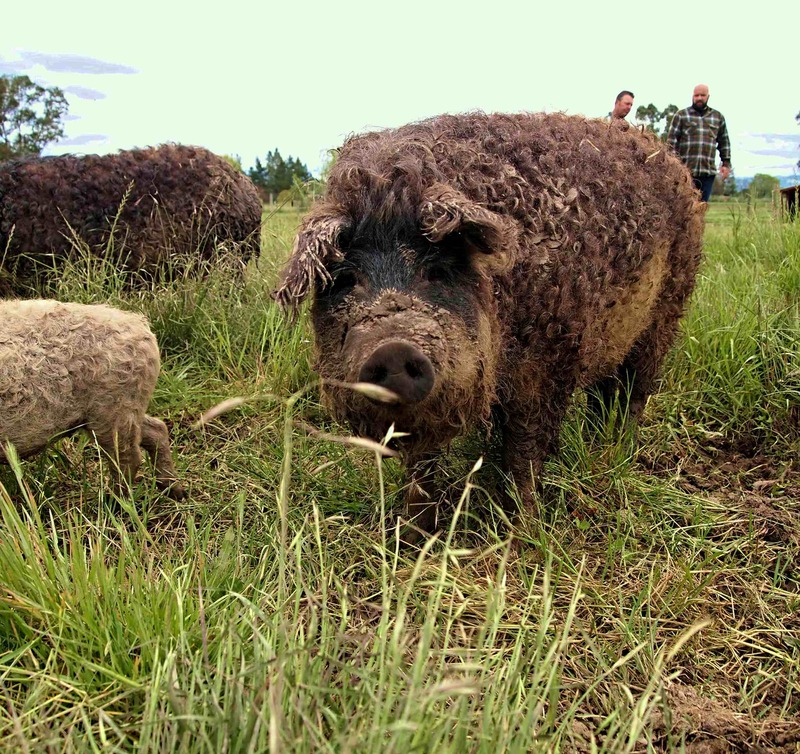 I have found myself working with one of the best pigs in California the Mangalitsa. 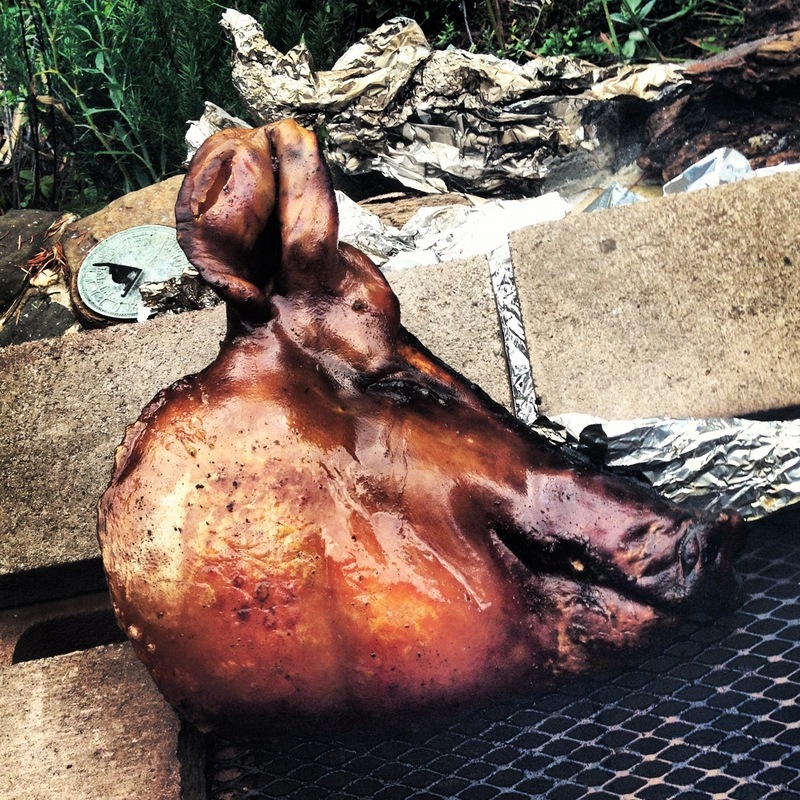 We raise them on a feral hog diet. This has been amazing I could not of done any of this with out the support of my brother Chad Koeplinger. He has been my inspiration since we met at age 15. This is where life and living began for me. E: There are many I admire but to grow up with Chad Koeplinger and watch him go from us at 15 or 16 building machines out of pens and toy electric motors to become such an amazing and respected individual in this business. I could not of made it without him! M: What is your next tattoo and who do you want to do it? 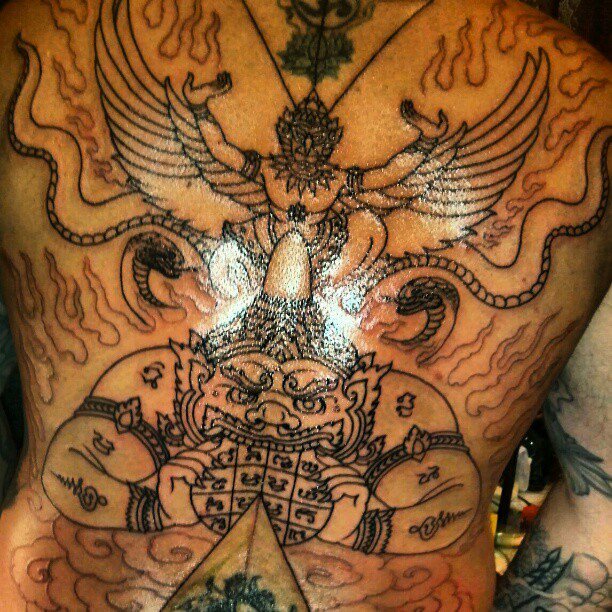 E: Well I have a couple to finish; one from Chad, a devil on my chest and the other is my back piece from Jondix. 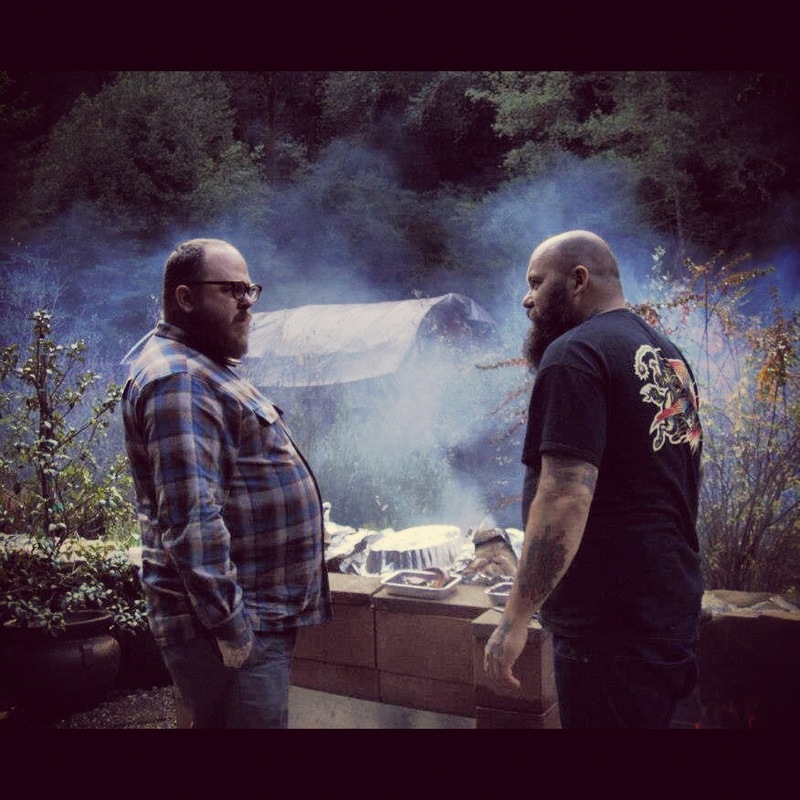 M: Do you think there is a connection between chefs and tattooers? I mean, why do you think so many chefs are so heavily tattooed? E: Creativity is similar, they are taking traditional dishes and making them theirs! They are determined and eccentric just as many of the great tattooers out there. M: Do you have any butchering advice for those new to the art? E: Through the trials and tribulations of life I have found myself sustaining life with life. The idea of creation of happiness is where it stems from. Perfecting farming in an alchemic/scientific way is my passion. Understanding the diet and correct times to slaughter is of utmost importance. Then on to the first cut and helping those experience it is where we all should find ourselves. The first time you pick up the knife to make an incision you must know where and how that animal was raised. Visit your farm take the time to see it from Beginning to the end……. That is my advice. Thank you Eric!! 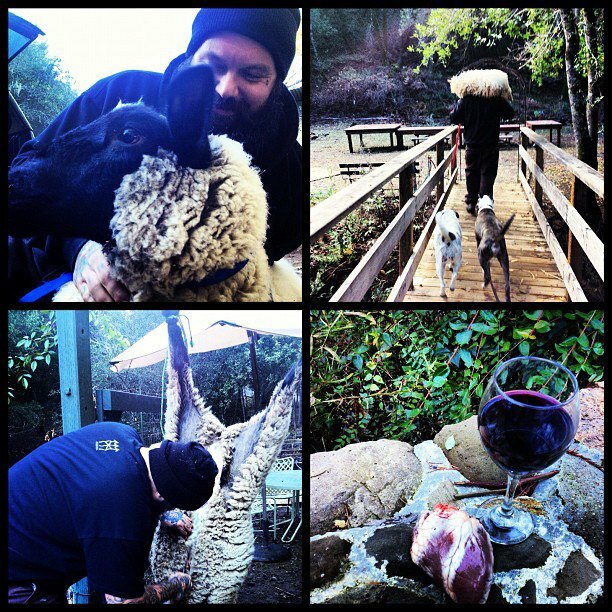 You can follow Eric on Instgram at @ericalegria, check out what he and his farm are up to! If you have any food tattoos, recipes or funny cooking or tattoo stories, email us at knivesandneedles@gmail.com, we would love to share your stuff! !